First, it’s important to note that a “0” credit score is a significant problem. Same with a “no credit score” finding. This means there has been no activity on credit accounts for more than six months–an indication of lack of payment, closed accounts, or accounts sent out for collection. 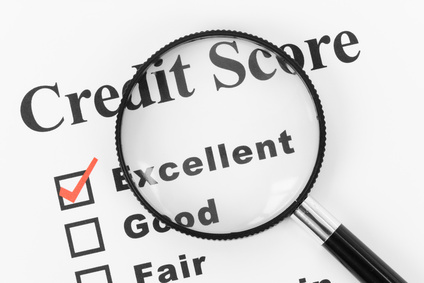 When a bad credit report shows up, follow up with the applicant to discuss possible reasons for the score. If you do decide to go forward with such an applicant, you will have to verify their income–and ability to pay rent, with banking information, pay stubs, tax records and the like. But be wary. This likely is a person with a poor history of maintaining credit accounts, and the same may be true of rent payments. If you find the person has no bank account or deals in cash transactions, that is further cause for concern. In fact, this could be a sign that the person is engaged in an illegal business activity, which they could bring into your rental property. If you feel you are attracting more than your share of unqualified applicants, it can be helpful to advertise that you require a tenant background check, including a credit report, from each applicant prior to renting to them. Let prospects know they will be required to give consent to conduct the tenant background check before they are offered a lease. Try asking prospects if there is anything they want to tell you before they waste their time and money running tenant screening reports. These steps can discourage an applicant who feels they have little chance of passing a credit check. Assessing tenant risk doesn’t stop there. It is also crucial to ascertain the person’s rental history by speaking to previous landlords. Receiving a score of “0” underscores the necessity to run credit checks with every applicant. Not only does that prevent a claim of discrimination when only some prospects are screened, but it also flags problem tenants before you turn over the property to them. Kicking bad tenants out is significantly harder than screening them in the first place. It’s a good idea to set up a screening account in advance if you haven’t done so already. It only takes a few minutes and then you can obtain the tenant screening reports as quickly as you need them to assess risks, and keep your rentals profitable. Click here to get started. Of course it depends on the dynamics of your market, but in my opinion in makes no sense to take risks by leasing to tenants with poor or no established credit history. We have very strict standards – annual income equal to 40x the monthly rent, some liquid reserves, a credit score of at least 700, no landlord/tenant or criminal history that might affect their quality as tenants, bank statements, tax returns, employer reference letter, and a prior landlord reference letter. Their application won’t be accepted at all until it’s complete. If they don’t meet the qualifications they can either use a guarantor (who we have separate qualifications for), or their application is rejected. This works in Manhattan where we have a 0.70 vacancy rate, but it may not work in every market. However, if you’ve ever evicted a tenant in a place like NYC, you will never consider renting to a tenant with a poor credit history again. Next post: Is Your Pets Policy Illegal?